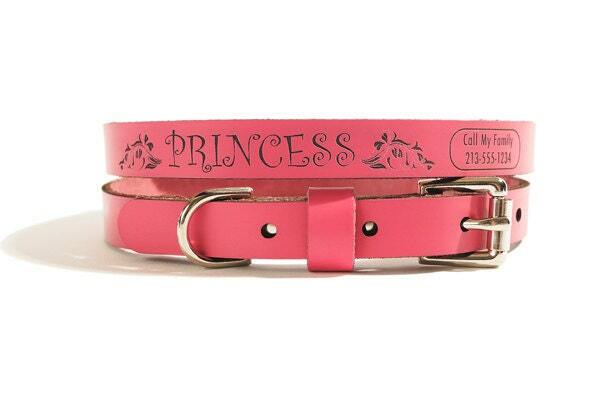 Neck Size 8" 9" 10" 11" 12" 13" 14"
TO ADD YOUR DOG'S NAME & CONTACT INFORMATION!! 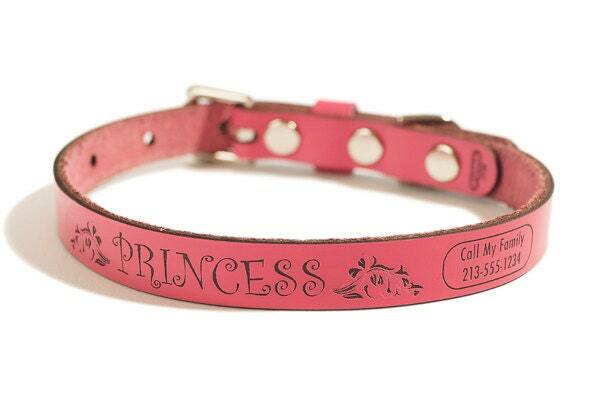 Below the images of the collar, you will find a field titled "Request a custom order". Once you click on that a comment box will appear. In this box write your Dog's name and 1-2 lines of contact information. You may use the example in the photo to guide you. 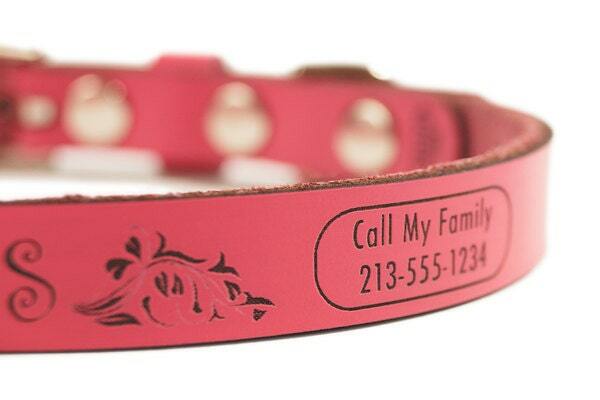 LASER ENGRAVED: A laser beam permanently engraves the collar’s design, dog’s name and contact information into the leather. 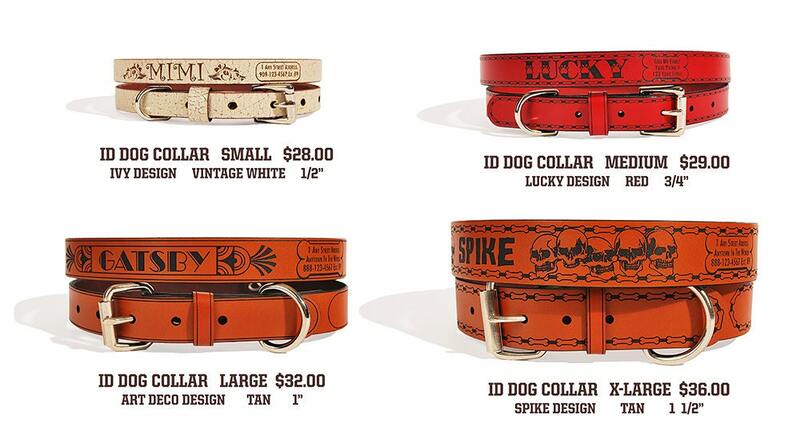 HARDWARE: RUHA dog collars don’t use any stitching or glue, so there are no worries of your dog’s collar fraying or coming apart over time. Instead we use rust resistant nickel-plated steel hardware for our rivets, buckles and D-rings. It is strong, sturdy and very reliable. DESIGNS: All of our designs are unique and created by our in-house designer. If you would like your own design/logo on any of our products please contact us. 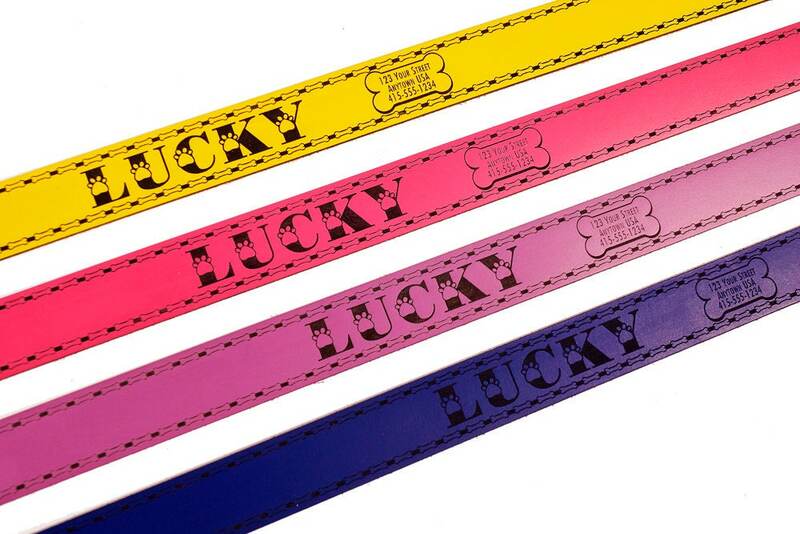 RUHA Dog Collars are durable yet gentle, and, if well maintained, can stand the test of time.